Stock up, teachers, because pool noodles provide great learning opportunities. We love pool noodles! They’re bright, colorful, and make great manipulatives in reading, math, and beyond. Plus, this time of year, they’re so inexpensive to buy (you can even get them in bulk and shipped for free). 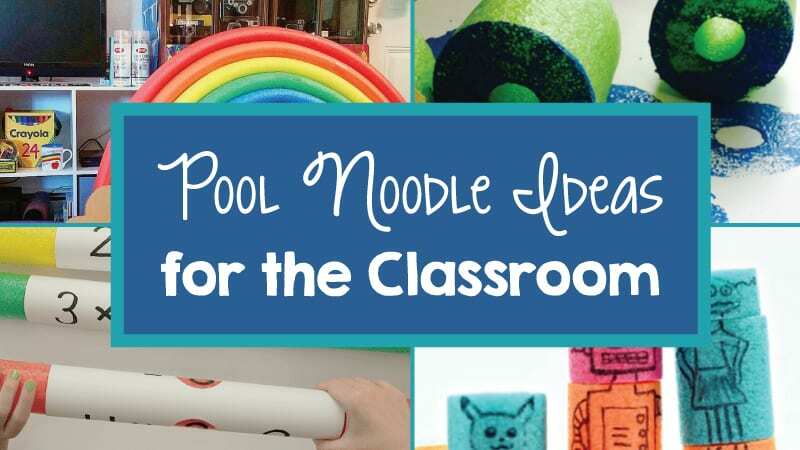 Here are some of our favorite uses for pool noodles in the classroom. 1. 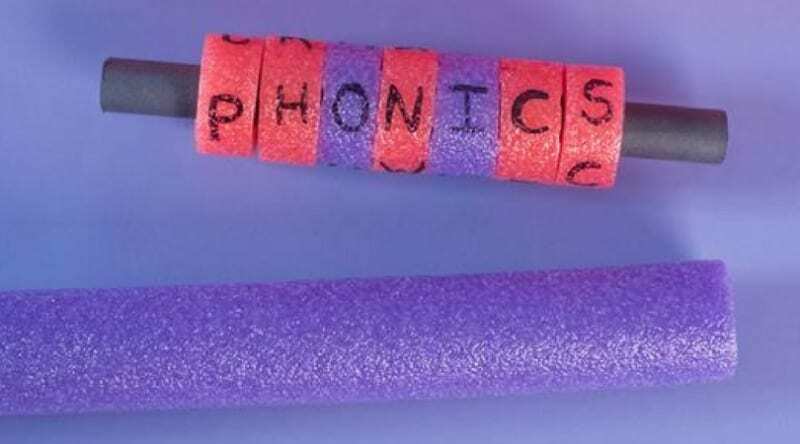 Practice phonics with pool noodle phonics. Reading practice is always more fun with manipulatives. This is the original project we did for creative pool noodle uses at WeAreTeachers, and you all loved it! You can easily change it up to meet your classroom’s specific needs. Get the full instructions and watch the video here. 2. Teach different parts of speech. Now take that phonics lesson a step further to teach the parts of speech to older kids. We used these paper towel holders we picked up on Amazon to turn this into an easy classroom learning station. Students can work independently to stack their sentences. They just choose words from different noodle colors as they learn the different parts of speech. We put them in this cute chevron fabric bin, making it easy for teachers to store. 3. 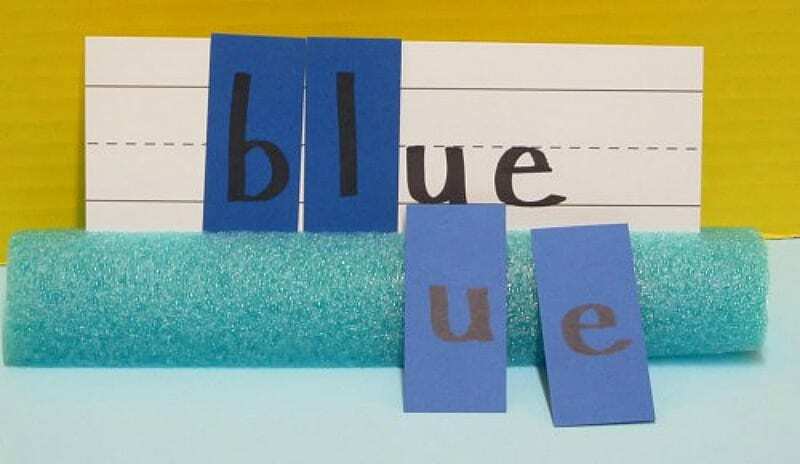 Encourage spelling with word rods. Here’s another take on phonics if you want to get a little more involved. There are some great ideas for how to use these for both reading and math. 4. Practice multiplication facts with pool noodle multiplication. We borrowed the word rod idea and applied it to multiplication facts. Check out the full tutorial for pool noodle multiplication right here. 5. 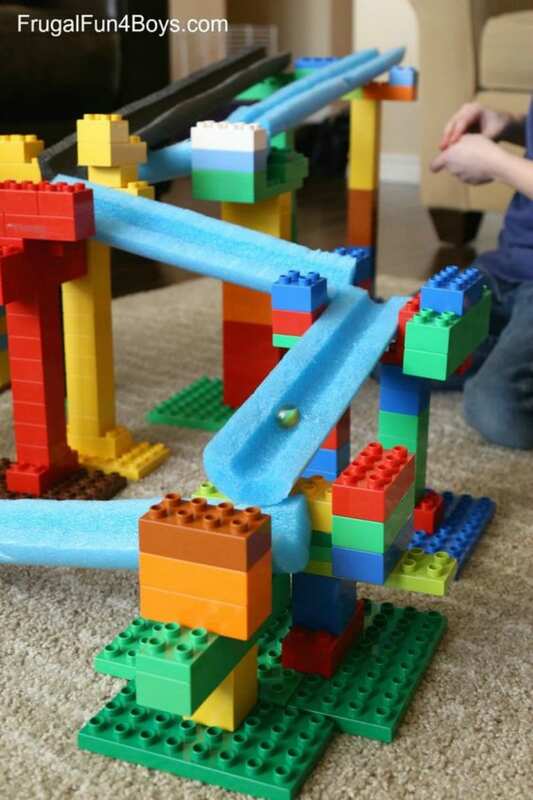 Encourage engineering with a marble run. Any kid would love this project. It involves LEGOs, pool noodles, marbles, and building. It’s the perfect project to sneak in a little STEM learning. 6. Create a pool noodle sensory chair. This chair uses PVC pipes and pool noodles. It’s so comfortable, and your students will love sitting in it! Get the full instructions for making it here. 7. 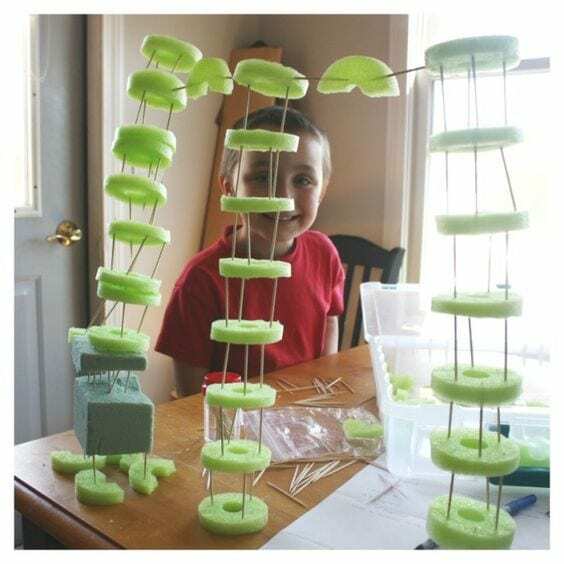 Challenge your students to build up structures. Here’s another engineering challenge for your students. We love this project from Little Bins for Little Hands. Use toothpicks and noodles to design and build. 8. Bring a rainbow into your classroom. You can use this on your walls, on a bulletin board, or as part of a door display. 9. Make your own classroom truffula trees. 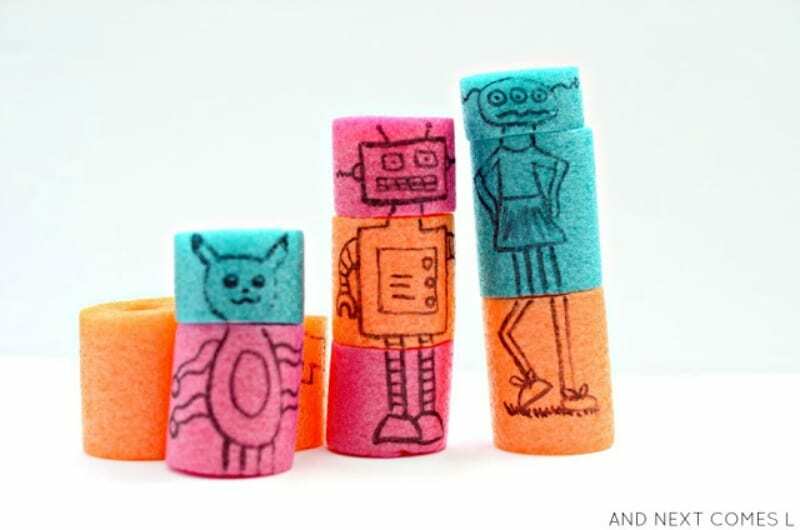 You can use pool noodles or tube insulation to make these truffula trees. Then use colorful pom poms to create the tops. Here are the ones we bought for this project on Amazon. 10. Use noodles as cardholders. 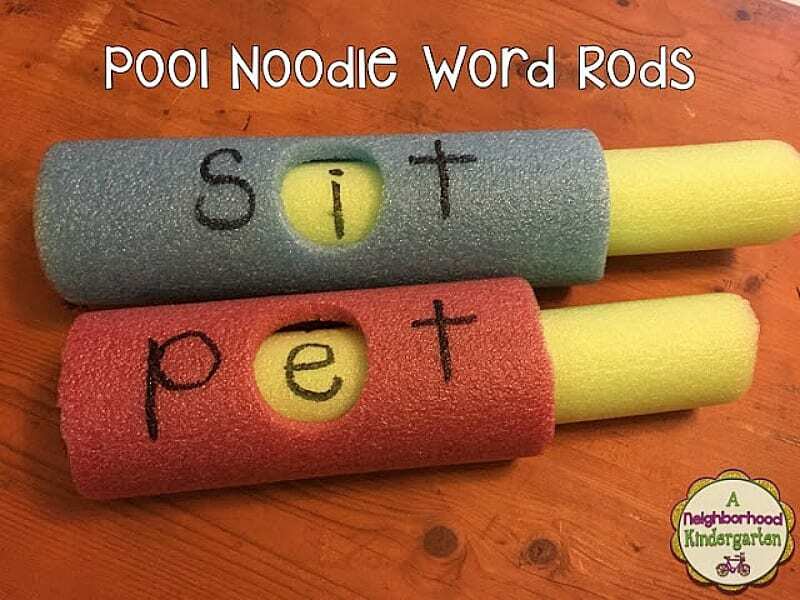 This teacher uses pool noodles as cardholders for her students to practice spelling words, and we love the simplicity. 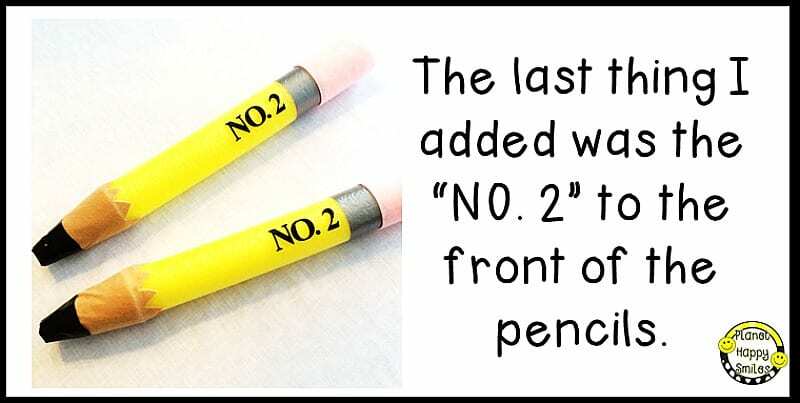 You could also use it for classroom games, name holders, etc. 11. Get in a science lesson with a water race. 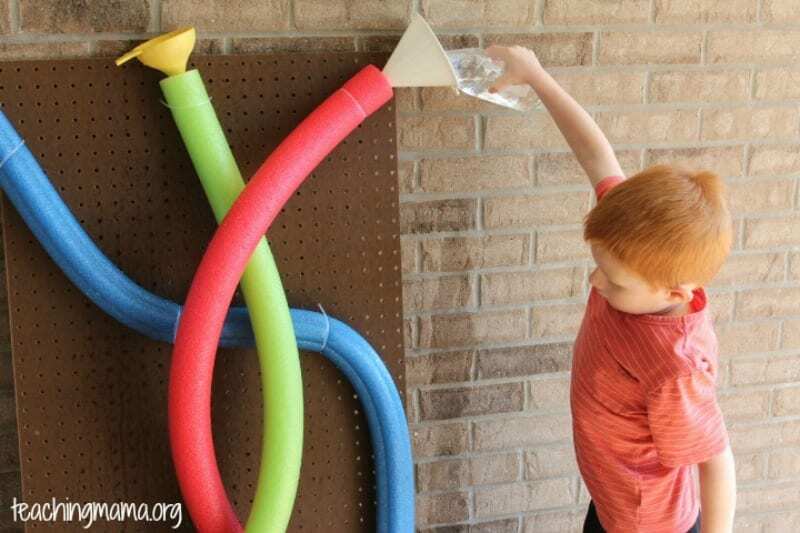 Create a pool noodle wall as another sneaky way to get in some science. Have students create their own designs for water races. This warm-weather activity will be the highlight of the week. 12. Use noodles for paint projects. 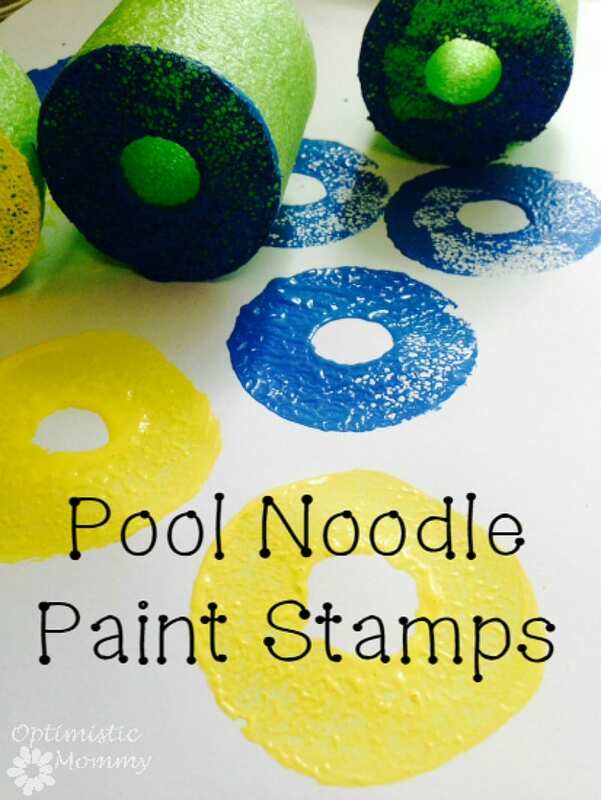 If you have a painting project to do, consider using pool noodles as stamps. 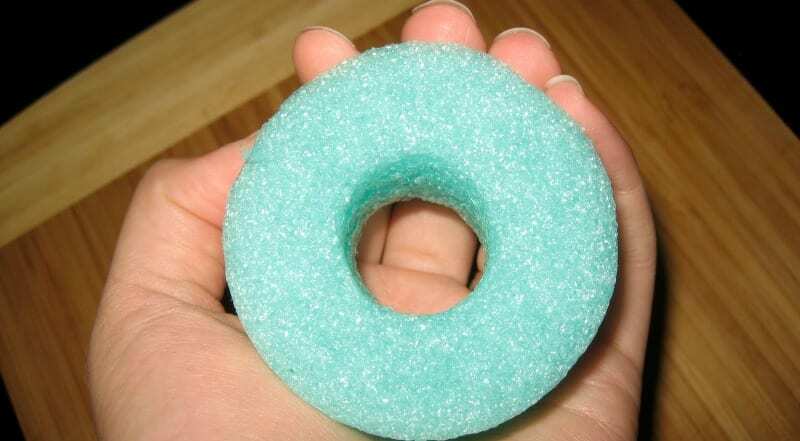 They make perfect circles, which can be the base for many great craft projects. 13. Make a stability ring for a balance ball. 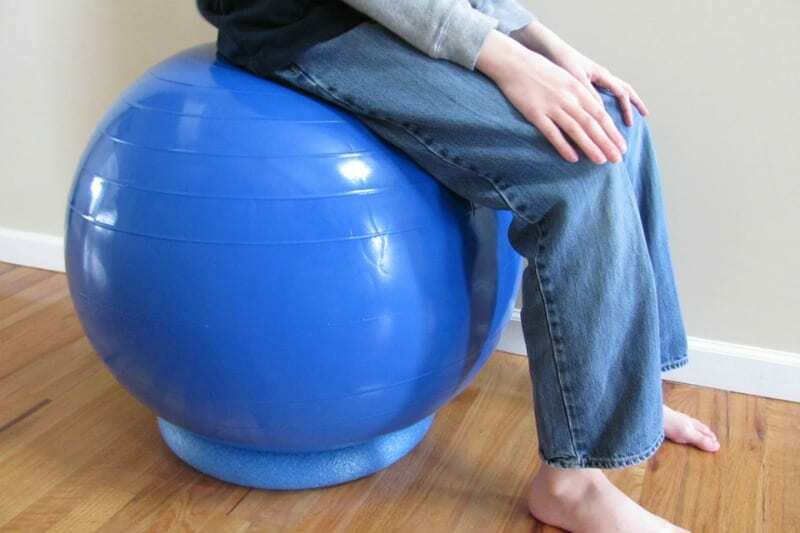 Do those ball chairs keep rolling away in your classroom? Make a stabilizer with a pool noodle. This is such a cute project, and we think you can apply the idea for lots of curriculum topics. For instance, science diagrams would be perfect to draw on noodles for students to match up. 15. 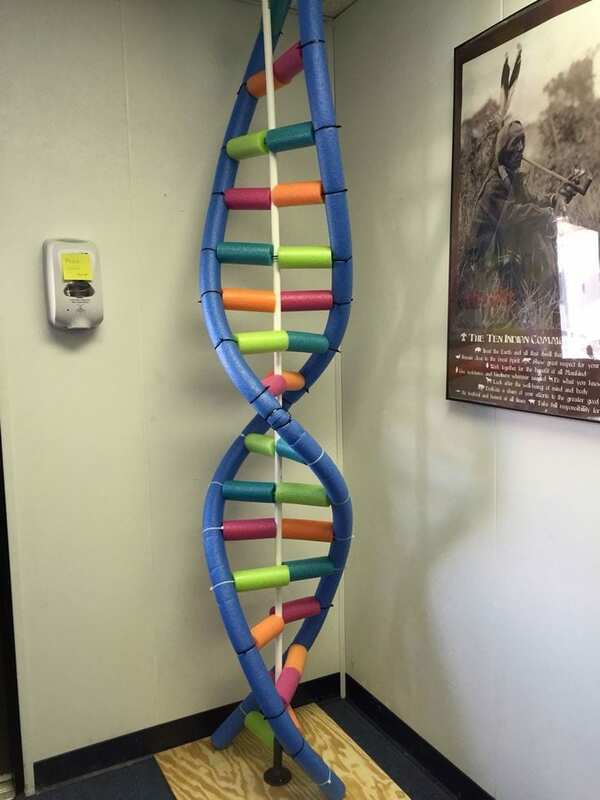 Create a DNA model. This is an amazing way to bring science into your classroom. 16. Give your students a stress reliever. Forget fidget spinners or stress balls. 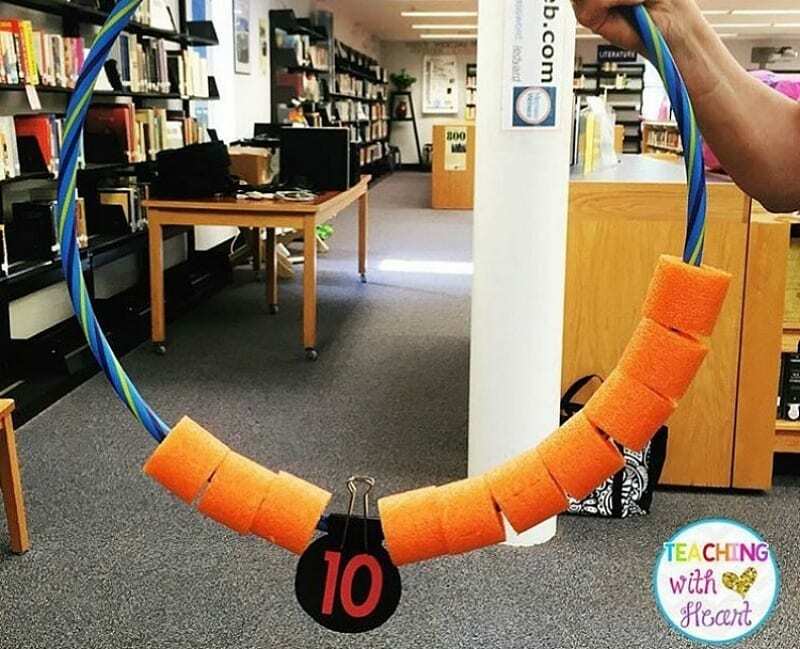 This school counselor came up with a clever idea for creating stress/fidget manipulatives using a pool noodle. Talk about a great deal. You can get more than 50 with just one noodle! All you need are two different color noodles to make your own fraction game for students to practice. Our WeAreTeachers article has a great video showing how to do it. 18. Teach students musical notes. 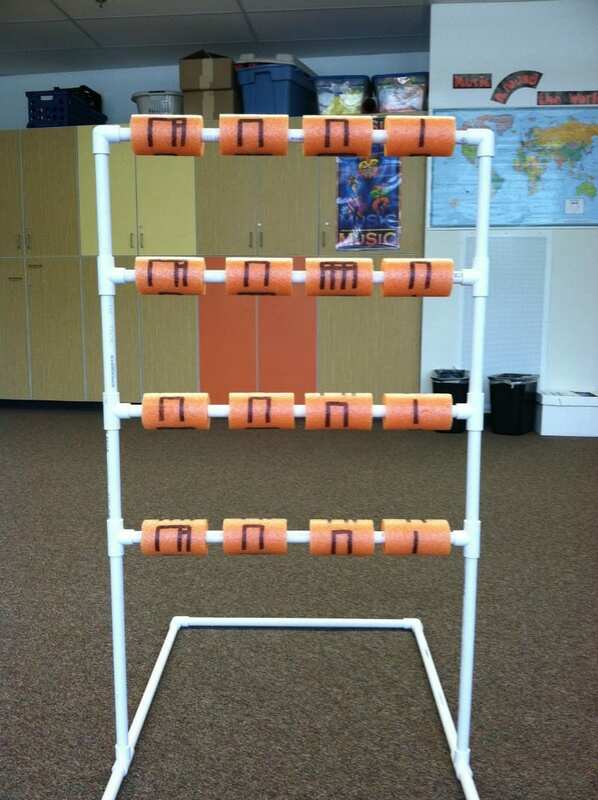 This music teacher got creative by putting notes on pool noodle pieces and turning them into a learning opportunity. The frame comes from that popular backyard Ladder Ball game or PVC piping from the hardware store. Just apply the noodles, and you’re done! 19. Build fine motor skills. 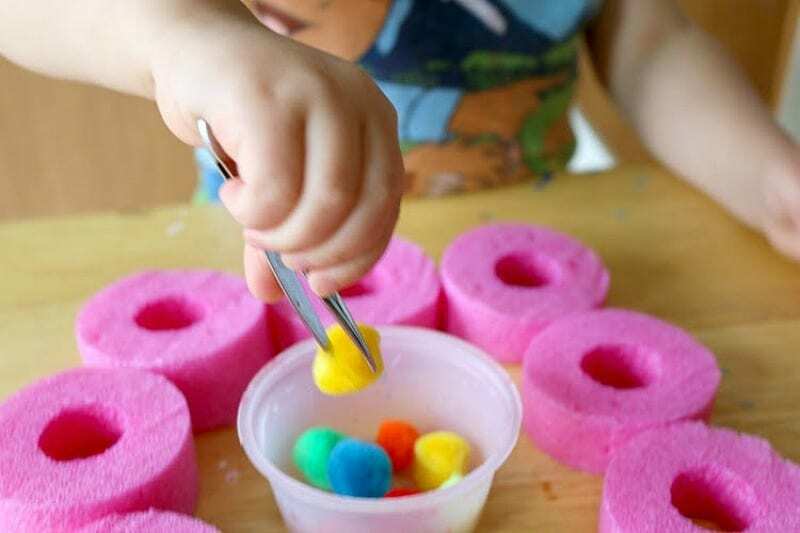 Practice those fine motor skills with cut up noodles and a few other manipulatives. 20. 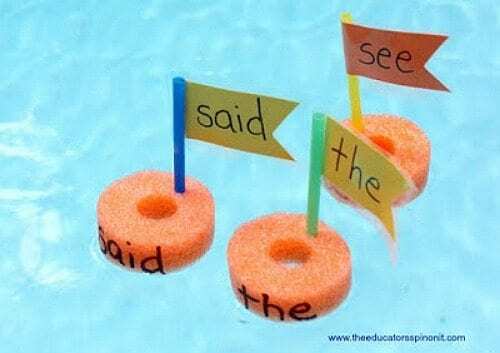 Have sight word boat races. We love this unique pool noodle use. This educator put sight words on these noodle floats and let her students have boat races. 21. Make your own giant pencils. We’ve seen a few different takes on creating no. 2 pencils out of pool noodles, and this is our favorite tutorial. 22. Color your walls with crayons. What do you think of this Class Decor Idea? POOL NOODLE CRAYONS 😍😍This video is from our friends at @PlayfulLittleLearners on Instagram and Playful Little Learners. This is such a clever way to use noodles. Color your entire wall! 23. Learn with a Hula-Hoop. This is a fun (and very visual) way to teach match concepts. Little hands will love moving the pieces back and forth. Another fun math activity that can be switched up for multiplication, addition, subtraction, or division. We love that students can grab one of these manipulatives after finishing work early. Do you have creative ways to use pool noodles? Come and share in our WeAreTeachers HELPLINE group on Facebook. 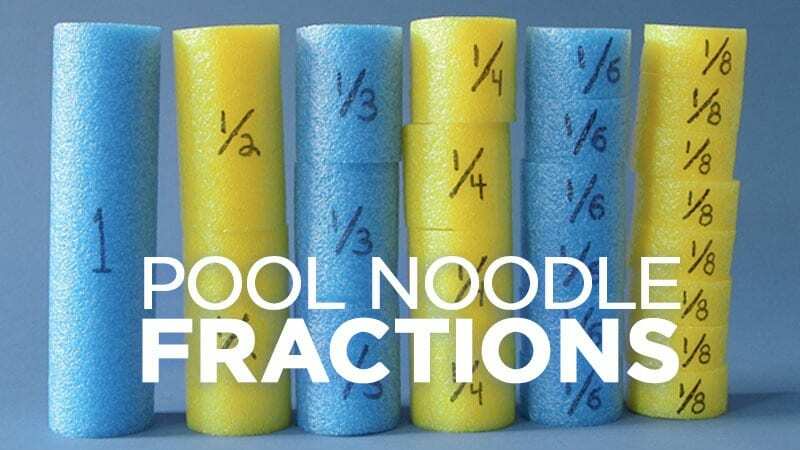 Plus, get the full instructions for pool noodle fractions here.